Dr. David L. Durst, our board-certified plastic surgeon, practices at the Cosmetic Surgery Center of Huntsville, the area’s first free-standing plastic surgery office. 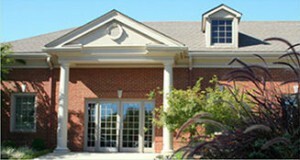 Located on Balmoral Drive, the office is a unique medical facility in Huntsville, designed specifically for cosmetic surgery with your privacy in mind. The surgery center is located onsite in the office building, giving you privacy while eliminating the hassle of a hospital environment. Additionally, we have facilities to accommodate patients to stay overnight when necessary. Our operating rooms are certified by the AAAASF, the preeminent accrediting organization for office surgery. Rigorous standards are maintained with yearly inspections. Plastic surgeons have led the way with respect to office certification of operative facilities. The American Society of Plastic Surgeons requires all board certified plastic surgeons who utilize an operating room in their office to have a certified OR. Each patient’s safety is always an utmost concern to Dr. Durst. Dr. Durst’s office is open 8:00-4:30 Monday through Friday. The phone number is 256-881-4200 and is answered 24 hours a day, 7 days a week. Our out-of-town patients may call toll free 1-866-881-4220. For patients wishing to reach us through e-mail, they can do so at julie@drdurst.net. The location of our office is 4011 Balmoral Drive. Located in a scenic medical park off Memorial Parkway in South Huntsville, Balmoral Drive is easily accessed by Airport Road, near the Parkway. As an alternative, Balmoral Drive can be accessed off L&N Drive.